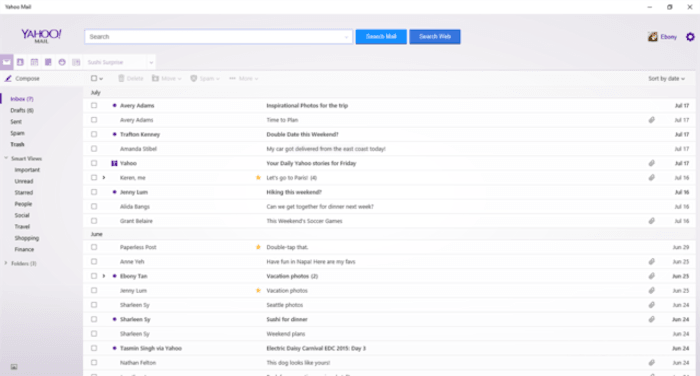 Yahoo released a native Mail app for Windows 10 a while back, and naturally many people have been relying on this app to get their daily email fix. Well, we have some bad news. These people will now have to look elsewhere since the Yahoo Mail app for Windows 10 is going to be shut down next week. The Yahoo Mail app has been informing users this week that it’s going to be shut down soon. The notice that users are being shown is that the app is going to stop working on May 22nd. You’ll have to find another email app at that time. The Windows Store listing for the Yahoo Mail for Windows 10 app is still live but it’s no longer possible to download the app. If you want to use Yahoo’s service to get your email, you will now have to use it via the web browser since the app will no longer be available. Instead of using any other email client, Microsoft would obviously want Windows 10 users to rely on the official Windows 10 Mail app. If you are still using the Yahoo Mail app on Windows 10 you will no longer be able to use the app after May 22nd. So don’t forget.